And it's Pour ta Vie. Because life is for living. So, take a deep breath, exhale, and smile. Bet the drug companies won't like this one getting around. Facts on Honey and Cinnamon: It is found that a mixture of honey and Cinnamon cures most diseases. Honey is produced in most of the countries of the world. Scientists of today also accept honey as a 'Ram Ban' (very effective) medicine for all kinds of diseases. 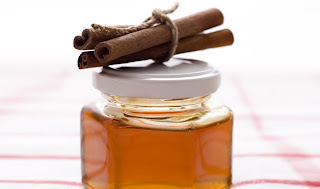 Honey can be used without side effects for any kind of diseases. Arthritis patients may take daily (morning and night) one cup of hot water with two tablespoons of honey and one small teaspoon of cinnamon powder. When taken regularly even chronic arthritis can be cured. In a recent research conducted at the Copenhagen University, it was found that when the doctors treated their patients with a mixture of one tablespoon Honey and half teaspoon Cinnamon powder before breakfast, they found that within a week (out of the 200 people so treated) practically 73 patients were totally relieved of pain -- and within a month, most all the patients who could not walk or move around because of arthritis now started walking without pain. Being healthy tastes so damn good! yes, indeed.... it keeps us all going, with a more meaningful and fulfilled life. How Moody Does Your Period Make You? All rights are owned by the MARCH ANGELS (2011). Picture Window theme. Theme images by kim258. Powered by Blogger.